I love this book so much! I like how much drama is in it but at the same time it’s really funny. From the start of the story it really hooks you in and makes you not want to stop reading it. It’s such a good book I would 100% read it again! It has to be one of my favourite books. The main character is Andy which is short for Andrea. She is 10 years old and is very awkward. Her parents had recently divorced but the problem is her dad wants her to live with him and her mum wants her to live with her. 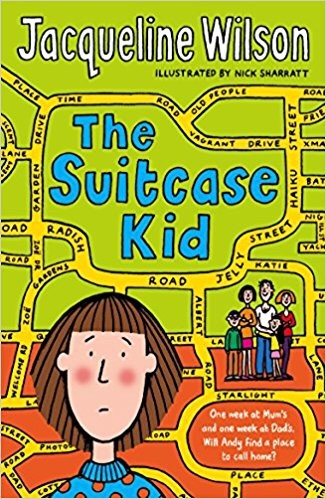 The author is Jaqueline Wilson and that of the book is 8-12 years old.